This entry was posted on December 15, 2010 at 5:32 am and is filed under Food with tags bay leaves, breadcrumbs, extra virgin olive oil, freshly ground black pepper, garlic, italian tomatoes, meatballs, parmesan, polenta, recipes, red chilli, red onion, red wine, sage, sea salt, thyme, veal. You can follow any responses to this entry through the RSS 2.0 feed. You can leave a response, or trackback from your own site. 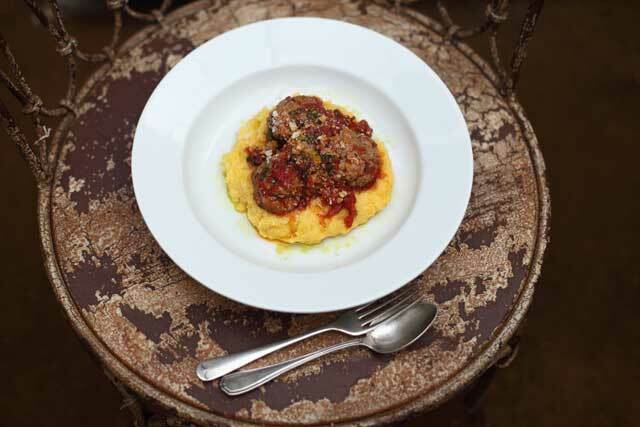 Polenta always reminds me of grits but this is a great recipe. Very nice. The secret is not to use too much polenta.